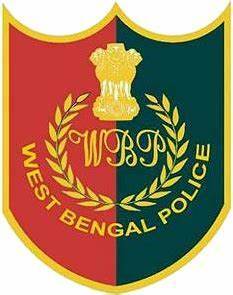 West Bengal Police Recruitment Board has published the recruitment notification for the post of Constable (Male). A total of 8419 vacancies are vacant. Moreover, candidates can apply for the post via online or offline mode, as per their choice. The application process will begin tomorrow, i.e. on February 5, 2019 (Tuesday). The last date to submit the WB Police Constable Application form is March 5, 2019. So, candidates will have one month to apply for the post. However, WB Police Constable 2019 Exam date is not yet announced. Must be able to speak, read and write in Bengali. However, this provision will not be applicable to the persons who are permanent residents of hill sub-divisions of Darjeeling and Kalimpong Districts. The applicant must not be less than 18 years old and must not be more than 27 years old as on 01/01/2019. The Upper-age limit shall be relaxed for the SC/ST applicants of West Bengal only by 05 (five) years and OBC applicants of West Bengal only by 03 (three) years. The upper age limit is also relaxable for NVF and Home Guards Personnel (serving in West Bengal Police only) as per existing Government Rules. However Age relaxation is NOT available to Civic Volunteers. The selection will be done on the basis of Preliminary Examination which will act as screening examination followed by the Physical Measurement Test (PMT), Physical Efficiency Test (PET), Final Combined Competitive Examination and Interview Round.